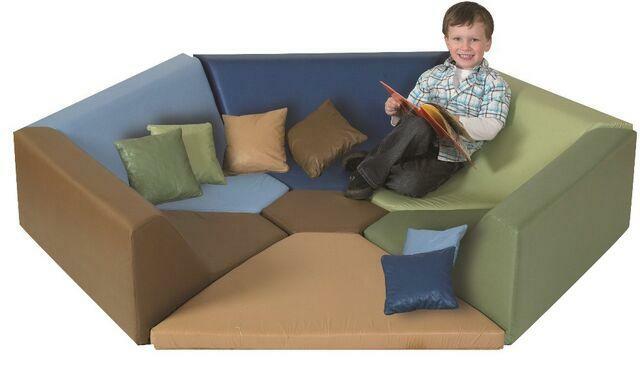 This 7 piece seating set comes in different vinyl colors that attach together with hook & loop fasteners. The pillows are not included. Dimensions: L: 75" X W: 65" X H: 14"